Dishwashers were one of the first home appliances that were designed to make daily domestic chores easier and faster. Although basic dishwasher technology has been around for more than 70 years, early models were bulky, inefficient, and very loud. Thanks to breakthroughs in insulation and how water is heated and directed onto dishes, some of today’s dishwashers are able to clean an entire party’s worth of dishes while barely making a sound. With a variety of models available from some of the top brands in kitchen appliances, selecting a quiet dishwasher is a rather straightforward procedure. 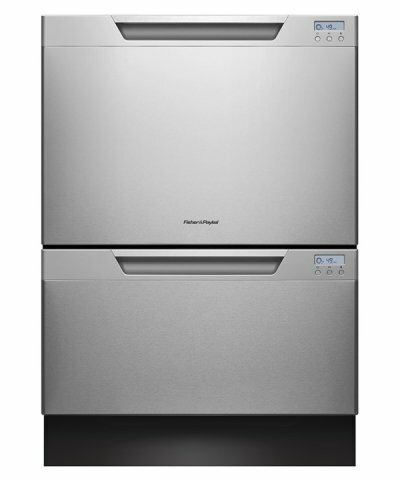 Although not every manufacturer lists the decibel output of their quiet models, all of the dishwashers in this buying guide are designed to efficiently clean dishes with a minimum amount of noise. Beyond just the color and style of a quiet dishwasher, other important factors to consider include the total size of the dishwasher. If you have a large family or regularly host parties, you’ll need a bigger model in order to wash up to 12 or more complete place settings with a single wash. Different models give homeowners the option to automatically adjust the temperature and sprayers to target hot water right where it is needed most. For washing large glasses, platters, and big pots and pans, adjustable racks and folding shelves are essential. 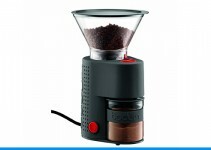 Other options to look for include forced and/or heated dry options, silverware baskets and rack positions for delicate or smaller items, and delayed timers for when you want to load the machine and have it clean at a more convenient time. With a generous 24-inch design, the DishDrawer Tall Series DD24DCTX7 can handle an astonishing 14 complete place settings’ worth of dishes. The DishDrawer Tall Series DD24DCTX7 has nine different wash cycles, including an eco option for saving water and energy. The adjustable racks allow for cleaning oversized glasses and big pots, pans, and plates. 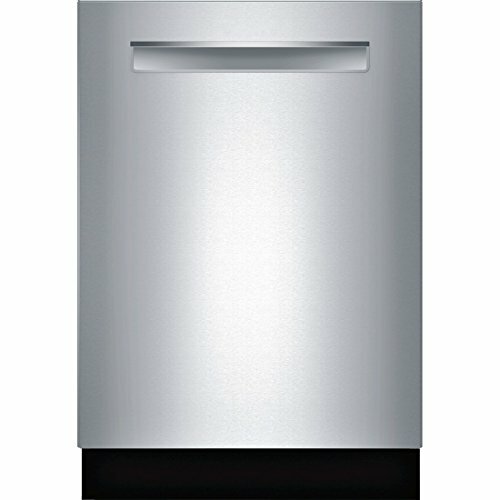 The DishDrawer Tall Series DD24DCTX7 is Energy Star approved but is powerful enough to quietly clean dishes with ease. 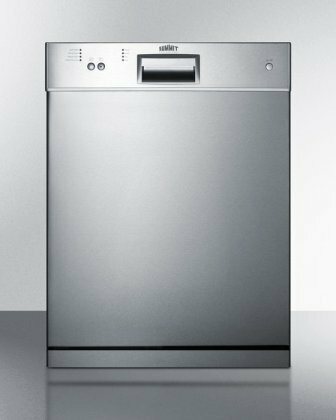 Producing just 44 decibels of noise when in use, the Bosch SHP68T55UC is one of the most powerful and quiet dishwashers on the market today. The third rack design allows users to stack up to 16 complete place settings in this stylish dishwasher while the included RackMatic technology can be adjusted in up to 9 possible positions for oversized glasses and other items. Because the Bosch SHP68T55UC is so quiet when in use, it comes with a special light that shines on the floor to prevent unnecessary openings of the appliance. The Bosch SHP68T55UC features a special Express Wash that can power clean loads in 30 minutes or less or you can select the Half Load option for when you’ve got only a few dishes to clean. The Bosch SHP68T55UC has both an automatic temperature control for optimizing water temperatures as well as the capability to air dry dishes. The Summit DW2433SSADA is both Energy Star qualified and ADA Compliant for efficient and quiet cleaning. The Summit DW2433SSADA can handle up to 12 full place settings while the adjustable top rack and folding shelves make it simple to accommodate platters, large glasses, and outsized pots and pans. Four different wash settings allow the Summit DW2433SSADA to direct precisely the right amount of cleaning power to where you need it most. With a lovely brushed steel design, the Summit DW2433SSADA is an attractive addition to any kitchen. With a lovely scoop handle and snow white design, the Bosch 300 Series SHS63VL2UC allows homeowners to quickly and quietly wash large amounts of dishes. Producing just 44 decibels when operating, the Bosch 300 Series SHS63VL2UC has advanced AquaStop technology to prevent leaks and a handy self-latching door for added security. The special detergent tray on the Bosch 300 Series SHS63VL2UC helps get the most out of detergents while the RackMatic technology on the upper rack makes it simple and convenient to clean oversized or oddly-shaped pots, pans, and other dishes. A helpful InfoLight directs a beam of soft red light onto the kitchen floor to alert you that the machine is in operation. The Electrolux EI24ID30QS has an automatic temperature control feature and targeted wash zones to direct a powerful spray of hot water exactly where you need it most. The 30-minute fast wash cycle on the Electrolux EI24ID30QS allows for quick clean-up while the easy to lift adjustable racks make loading and unloading simple and easy. Measuring 24 inches in size, the Electrolux EI24ID30QS can easily handle all the dishes from a party or family meal while the automatic mode takes all the guesswork out of selecting the right cycle. The Summit DW2433SS has a generous 24-inch size so that it can quickly and quietly clean up to 12 full place settings with ease. The stainless steel drum of the Summit DW2433SS offers rugged durability while four different wash programs ensure that you get every style and type of dish squeaky clean. 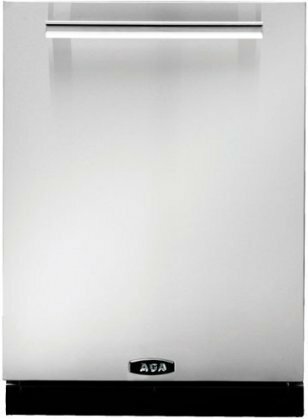 The Summit DW2433SS is an Energy Star-rated device that provides a thorough wash of soiled and stained dishes with a bare minimum of noise. You’ll be able to clean up plenty of dishes in a quiet and efficient manner using the AGA AMPROTTDWSS. With a generous 24-inch design, the AGA AMPROTTDWSS operates at an atonishing 45 decibel level with nine different cycle options to ensure that dishes are quietly cleaned. The AGA AMPROTTDWSS comes with a removable silverware basket for smaller items while the top rack wash options allows for quick clean up when all you have are a few items that need cleaning. The AGA AMPROTTDWSS has an all-stainless steel tub design for rugged durability. 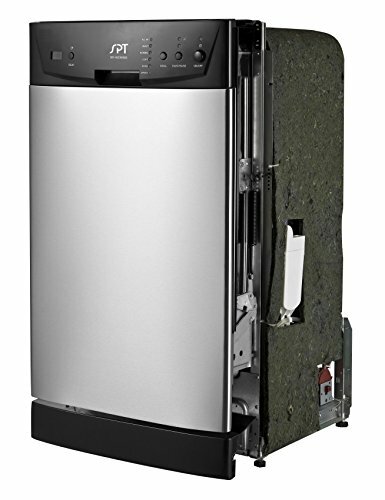 From one of the leading names in quiet dishwashers, the Bosch SPX68U55UC measures just 18 inches across. Operating as quietly as 51 decibels, the Bosch SPX68U55UC will quickly and efficiently clean dishes without disturbing your household. The Bosch SPX68U55UC employs the proprietary AquaStop technology to prevent and stop leaks. The racks on the Bosch SPX68U55UC can be adjusted to three different height levels and nine different positions for ease in cleaning even unusual or outsized pots, pans, and other dishes. The SPT SD-9252SS is a rugged dishwasher that can quickly and quietly clean up to eight standard place settings while producing just 55 decibels of noise. At just 18 inches wide, the SPT SD-9252SS uses only a minimal amount of kitchen space while six different wash programs ensure that you get your dishes cleaned precisely and efficiently. Two generous spray arms ensure full cleaning coverage while a convenient silverware basket keeps smaller items in place. The upper rack can be adjusted when cleaning outsize pots and pans, and a convenient time delay feature allows you to program a start time between 1-24 hours after loading the appliance. 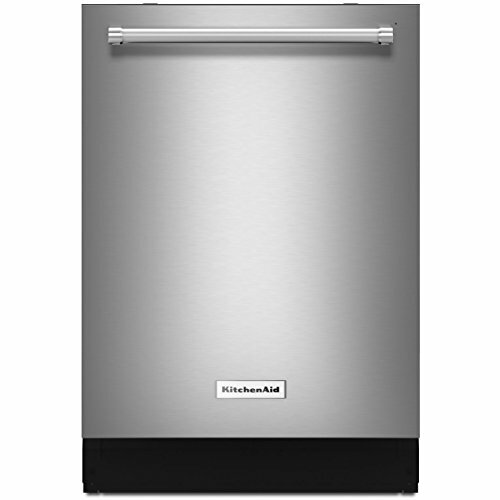 The KitchenAid KDTE104ESS is an Energy Star-rated appliance that uses a proprietary ProScrub option to focus 36 spray jets on dishes for ultra-efficient clean-up. A ProWash button allows users to automatically select the right cycle setting for dishes. The KitchenAid KDTE104ESS comes with the company’s Whisper Quiet insulation system to operate with a minimum amount of noise. It has a heat dry option for faster drying while the lower rack can be folded down for oversize pots and pans. 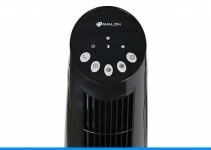 It can hold up to 15 complete place settings for quick and easy clean up after parties, feasts, and special occasions. With so many options out there to choose from, it’s now easier than ever to get an efficient and capable quiet dishwasher that can clean large amounts of dishes while producing little or no sound. Some models even come with control panel indicators and/or lights in order to let you know that the machine is in use as they feature whisper quiet operation that is nearly inaudible even when all the sprayers are engaged. Depending on the amount and type of dishes that you regularly wash, there are models that can handle between six and 12 different complete place settings with ease. Thanks to breakthroughs in insulation and sprayer focusing technologies, it’s now possible for every homeowner to enjoy the convenience of a quiet dishwasher without having to disturb the peaceful environment of your kitchen.